Retiring U.S. 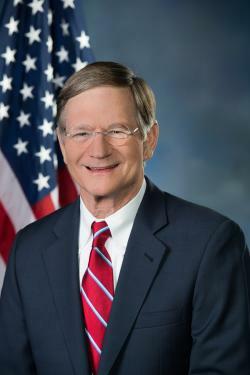 Congressman Lamar Smith has been named the 2019 Texan of the Year by the Texas Legislative Conference, the well-known annual statewide forum that is marking its 53rd year next March. Smith will be presented with the award Thursday evening, March 21 at the New Braunfels Civic/Convention Center. He will be joining an array of prominent past honorees since 1974 including Presidents, U.S. Senators, entertainers, Governors, and business icons. The Texas Legislative Conference is a nonpartisan organization of Texas business and political leaders who meet annually in New Braunfels to focus on public policy issues. This year’s topics on Friday, March 22 will include Changing Texas Demographics, Property Tax Impact on Schools, and Civility in the Legislature and Media. Smith serves currently until the next Congress convenes in January 2019 as Chairman of the Science, Space, and Technology Committee, which has jurisdiction over NASA, the National Science Foundation, the Department of Energy, the FAA, and other federal agencies. He continues to serve on the House Judiciary Committee and the Homeland Security Committee. Smith formerly chaired the Judiciary Committee and the Ethics Committee, making him the only member of Congress to have chaired three committees. He also founded the Border Caucus and the Media Fairness Caucus. In a study jointly conducted by the University of Virginia and Vanderbilt University, Congressman Smith was ranked in the top 10% in effectiveness in the last eight Republican Congresses and ranked the most effective in the 112th (2011-2012). Information on registration and tickets for both the Thursday evening, March 21 Texan of the Year Reception and the Friday, March 22 half-day conference program may be obtained from the Greater New Braunfels Chamber of Commerce at (830) 608-2816.